Lake Tahoe is an active lifestyle paradise: skiing and snowshoeing in the winter; mountain biking and kayaking in the summer; hiking year round. Add in the gorgeous vistas, from the lake itself to the Sierra Nevada Mountains, and you may think you’ve found Shangri-La. The high elevation and non-stop activity can lead to only one thing: thirst. Fortunately, relief is just an hour’s drive from Tahoe. 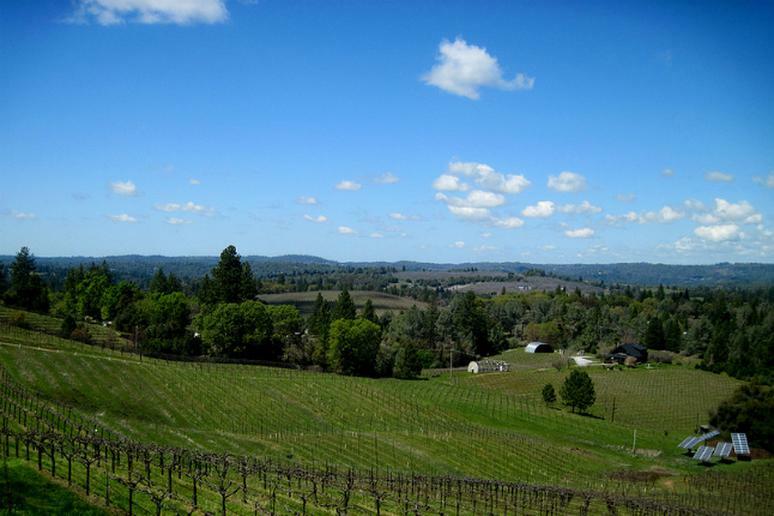 Nestled in the foothills of the Sierras are the El Dorado and Amador wine regions. These regions have been producing wine since the Gold Rush days, when miners flush with cash wanted a way to celebrate finding gold. The area stopped producing wine when prohibition became law, and production didn’t return to the area until the late 1960s. Although not as well known as some of the other California wine regions, both the El Dorado and the Amador regions are producing award winning red and whites. For over 20 years David Girard Vineyards has been producing wines based on the philosophy that good wine starts with good grapes. Known for their Rhone style wines, their 2008 Syrah won 90 points from Robert Parker’s Wine Advocate. The Jones family, a clan of geologists, decided to start a vineyard in what they thought would be the perfect volcanic soil. Their choice served them well. They use artisanal production and sustainable farming techniques to produce all their wines. Their grapes grow at over 2,500 feet and are hand-picked. The extra effort has worked well for them, with several of their wines earning 90+ points from Wine Spectator. They leave much of their estate alone to protect the native plants and environment, adding to the view from their tasting room and patio. A certified biodynamic farm, Narrow Gate’s wines are hand-made. They focus on maintaining soil health and plant biodiversity to keep their grapes healthy. They grow over nine Rhone varietals, with Grenache, Syrah and Primitivo grapes being the largest percentage. The Cooper family has been farming in this region for five generations. They opened their winery in 2004 and now produce 17 wines. Boutique production allows them to hand-make their wines, but also means they sometimes sell out of their award-winning releases. Named for its red earth, Terre Rouge winery uses sustainable farming techniques and solar power to produce over 20 wines. They focus on Rhone varietals to capitalize on the vineyard’s various soils and terrain—and the tasty results have won them a number of awards.